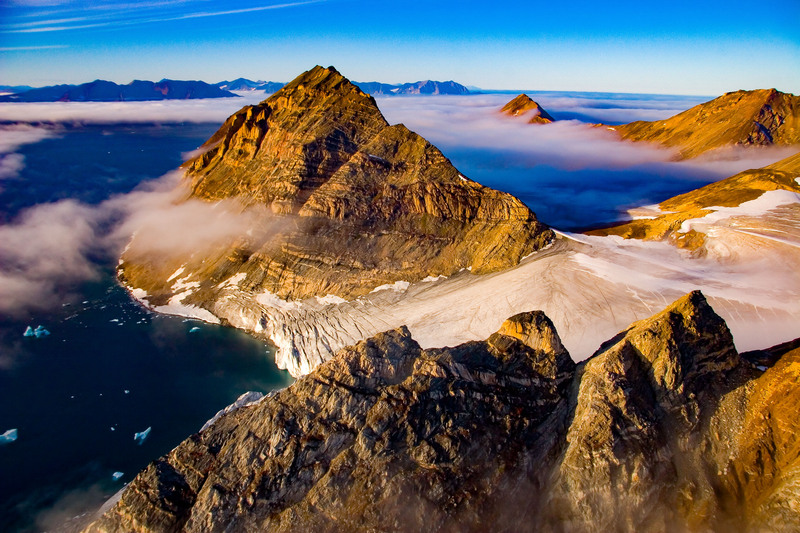 Greenland, Warming Island, off coast of Liverpool Land, Peak of SW Finger, Broken Glacier and New Strait, 2006 - This is an aerial shot showing the three Pinnacles in the foreground. The mountain in the center left is the high point of the south-westerly finger, and the pyramid sticking out of the clouds to the right is the tip of the middle finger. The crevassed glacier falls to the sea. The top of the glacier at the base of the SW finger is where we made our camp for six nights.